Grab your bike and ride with us from Oakland to the steps of the Capitol in Sacramento to support public education in Oakland! There are three rides available: 45-miles, 68-miles, and 110-miles. All rides end in Sacramento, with bus transportation for the shorter rides. The 110-mile ride is the complete journey from Oakland Tech to the Capitol. 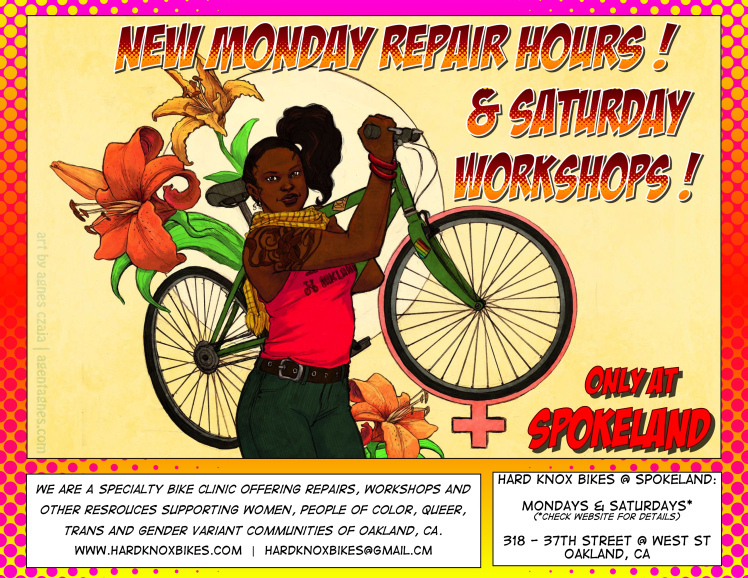 Join Bike Concord as we fix up community bikes for free. Thanks to a grant from John Muir Health, professional mechanics offer free bike repairs and tune-ups to community members. Bike Concord volunteers offer advocacy updates and a space to talk about all things bike. 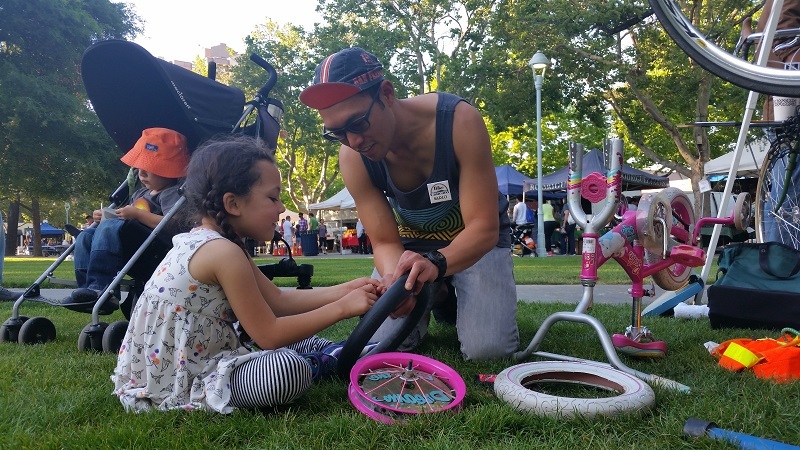 We’re super excited to be offering for the fourth year in a row free bike repair at the Concord Farmers Market. Join Bike Concord and meet your local advocates at this great, positive community event. Help us put together light sets for our annual bike light giveaway. Dinner and snacks will be provided. The Bicycle, Pedestrian and Trails Committee advises the Parks and Recreation Commission and the City’s Traffic Engineering Division on bicycle, pedestrian and trail related items. The committee reviews and prioritizes potential projects, provides input on policies related to bikeways and trails, and promotes community education and awareness regarding non-motorized forms of transportation. In this workshop, demo and instruction are given over how flats happen and how (if possible) to avoid them. Hands-on inner tube removal, assessment, fix and replacement. Take home swag at end of class. 24 hour confirmation of attendance is required for registration. Clinic is $15.